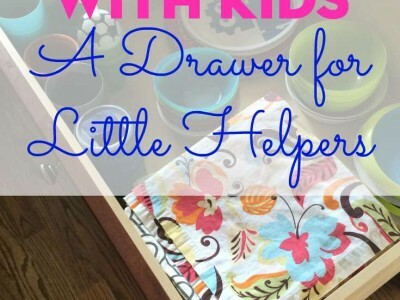 Do you have little helpers in your home who want to be with you while you’re in the kitchen? This idea might help you keep your kiddos safer, while giving them a chance to contribute to preparing for family meals. Laura at I’m an Organizing Junkie let me post about our drawer for little helpers on her site, orgjunkie.com. 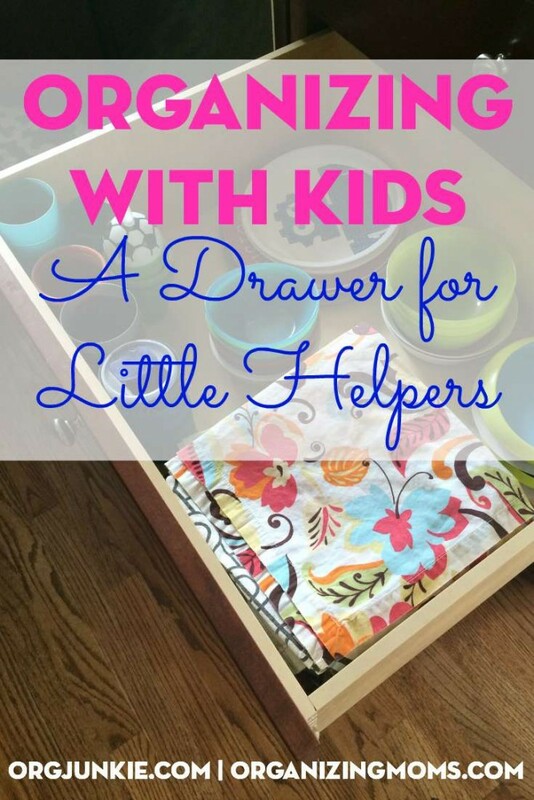 There you can find ideas for making your own drawer, shelf, or box for little helpers! 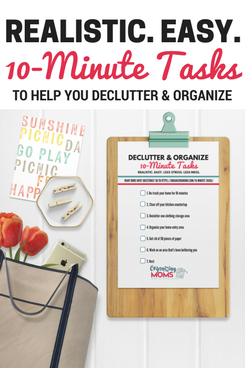 How to Organize Your Home – 30+ Organizing Ideas!